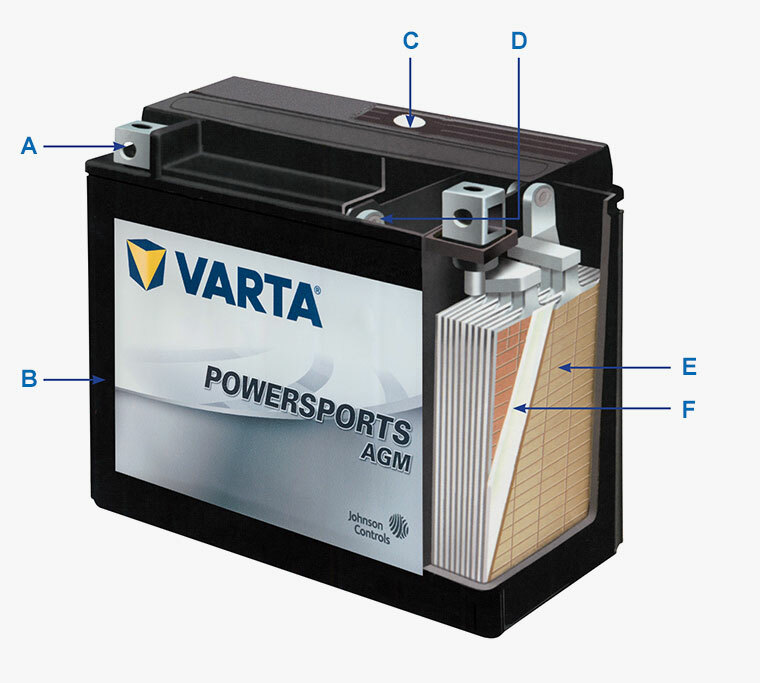 The VARTA® Powersports AGM battery is designed with extreme conditions in mind, so you always have maximum power with no loss in performance. The battery resists vibration, is certified NONSPILLABLE, so it mounts at any angle, and is permanently sealed and maintenance-free. What does the Absorbent Glass Mat (AGM) do in VARTA® Batteries?